Love is in the air and wedding planning is on my mind! There are only 3 months left until my big day, so I apologize if you've notice I have been MIA lately, but planning and dreaming has completely taken over my free time. I've always known that traditional bridesmaid dresses weren't going to work for me, so I started scouring Pinterest and fell in love with the look of mismatched bridesmaid dresses when I saw the below picture from my wedding planners, The Dazzling Details. I originally asked my girls to choose blush colored dresses to go with the romantic feel of my wedding decor but as usual, I'm second guessing myself. 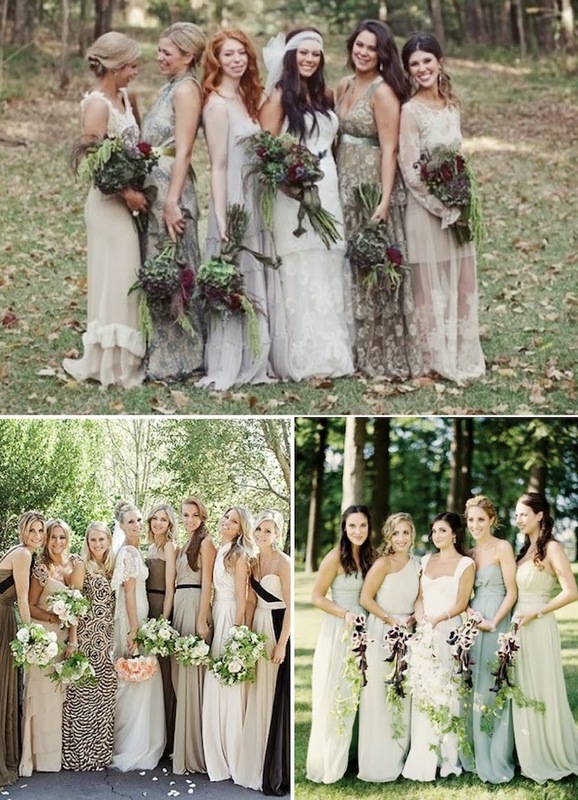 From glam to trendy to wood fairy, when it comes to mismatched bridesmaid dresses the options are limitless. As far as I'm concerned, the more nontraditional the better! I love this idea! I love totally do this if I could do it all over again! I love mismatched bridesmaid dresses! Personally, I like a couple elements to be uniform, like all the same length or all have similar shades or cuts. I think that keeps them looking like they are a part of the wedding party. I'm sure what you've chosen is great, though! I'm absolutely obsessed with mis-matched bridesmaid dresses. I will definitely be implementing this on my big day! This is far better than if everyone had the same dress on! Wow, nice pictures. 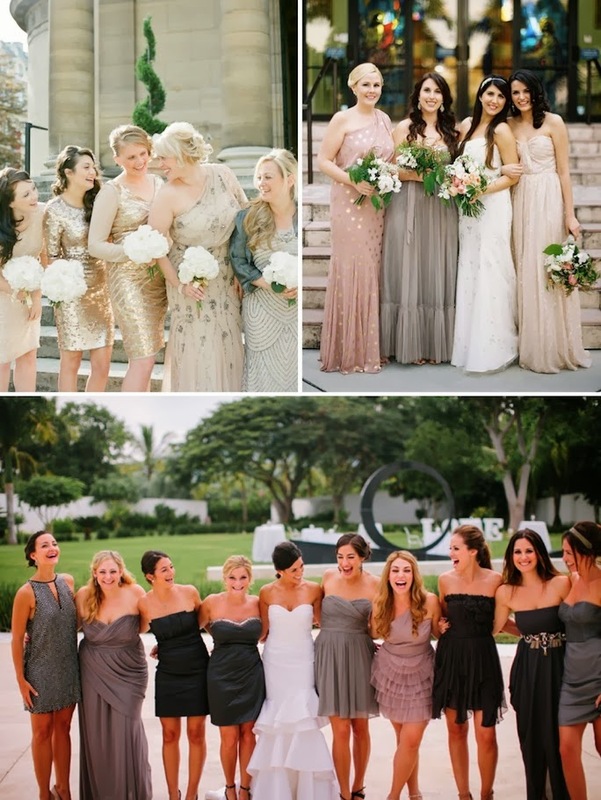 Mismatched Bridesmaid Dresses? Why? So stunning, love all these!! All these girls are pretty, the same are their dresses. Love all these gorgeous dresses, hope that someday I can dress one of them. These are one of the things soon to be couples needs to keep in mind in choosing and getting the wedding cake, definitely it is must!